Gold-mine operator "Boss" Kruger (Raymond Massey) has certainly earned his nickname. A frontier dictator, Kruger runs his mine like a prison colony; indeed, most of the workers are fugitives from justice, given dubious "protection" by Kruger. Two of the laborers are Judith Burns (Ruth Roman) and Bob Peters (Dane Clark), both on the lam from the law. Judith and Bob befriend lawyer Milburn (Robert Douglas), who seeks to prove that Kruger is a murderer. 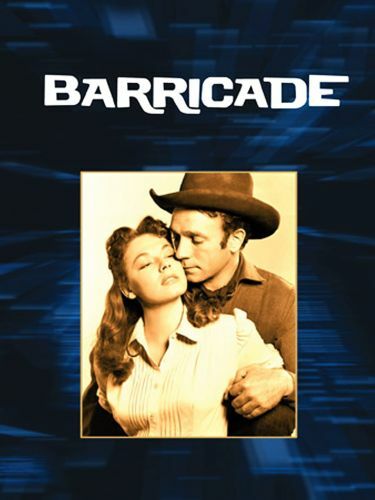 A bit too talky for the tastes of most western fans, Barricade redeems itself with a spectacularly violent conclusion.